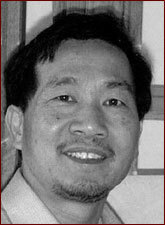 Born in Southern China, Mian Situ received his formal art training in his native homeland of Guangdong, formerly Canton. He graduated with a Bachelor of Fine Arts from the prestigious Guangzhou Institute of Fine Art. After instructing for six years, he earned a Masters in Fine Art.